The snow of this hearty Minnesota winter is melting and making way for spring flowers. The days are getting longer, and the temps are rising; climb out of your cabin and check out these spring activities in Owatonna. 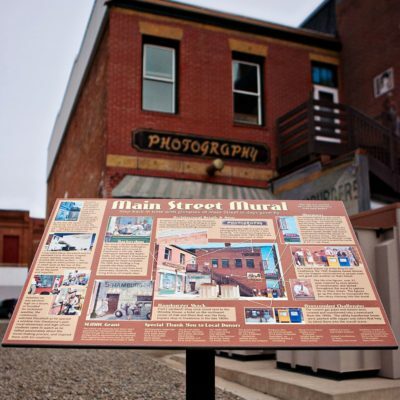 Take a stroll around Owatonna’s downtown district in search of all the Downtown Murals which are scattered about the historic buildings. The murals, painted by local artists, show the heritage and history of Owatonna. Hunt for the five most well-known murals: The Little Red School Mural, Main Street, the Owatonna Gateway Mural, the Fire Hall Mural and Princess Owatonna. There are also 5 mini murals of Owls hiding throughout downtown Owatonna. Use the Historic Walking Tour Brochure to guide you through the different architectural styles of the downtown buildings as you search for the murals. Pick up a brochure at downtown local businesses or the Owatonna Area Chamber of Commerce and Tourism. 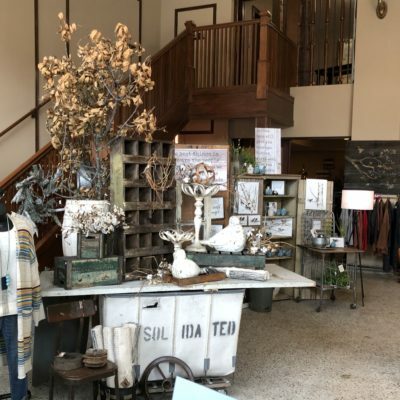 If you finished your spring cleaning, spruce up your closet or décor with seasonal finds at Owatonna’s local shops. Find cozy and unique goods to tastefully update your home and closet at Urban Loft. Shop for your best spring outfit at Kristi’s Clothing or Bellebrooke Boutique. Stop to smell the amazing floral creations at local florists Kleckers Kreations or Cedar Floral. There are plenty of shops in Owatonna to meet your unique style. Find our complete shopping directory here. Grab your girlfriends and shop downtown during April 1-April 20 for the “Shop Owatonna for Spring” promotions. Shop these promotions for a chance to win gift certificates to spend at participating businesses in Owatonna. 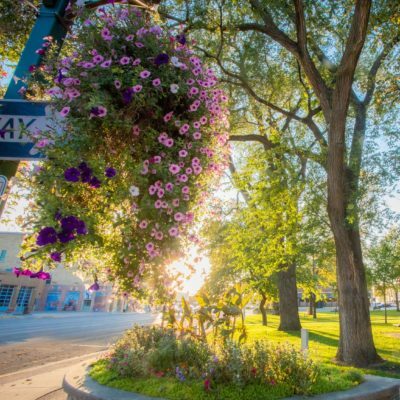 When April showers are bringing May flowers, take a tour of Owatonna’s attractions. Glimpse into the lives of the abandoned and abused children who called the Minnesota State Public School Orphanage their home. Spend an afternoon enjoying the current art exhibits, a diverse group of works by local and regional artists, or taking a class at the Owatonna Art Center. Take a self-guided or guided tour of the National Farmer’s Bank and walk around the most beautiful bank in the world with architecture and murals that depict farm life in Steele County. View the interactive historical exhibits at the Steele County Historical Society, current exhibits are Over Here, Over There: The Great War and Toys & Play, 1970 to Today. 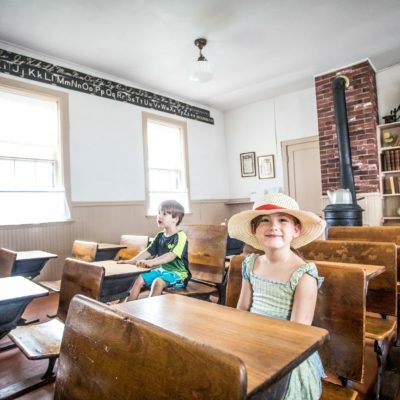 After May 1st, visit the Village of Yesteryear to experience what life was like in the 19th century. Finally experience a diverse collection of more than 150 kinds of snakes, turtles, crocodilians, frogs, and salamanders at the Reptile and Amphibian Discovery (RAD) Zoo. Owatonna has the perfect trails to get back outside after months of being inside. Splash in puddles during your hike in Kaplan’s Woods or Rice Lake State Park. Take a nice long stroll on the multi-use Muckle Trail that runs along the Straight River, through the heart of Owatonna and connecting to Buxton Trail that travels to the eastern edge of town. Stop at Morehouse Park to enjoy an afternoon of picnics, frisbee golf, pickle ball or just watching the river roll by. Owatonna maintains over 700 acres of parkland and walkways with 28 parks. Find the perfect outdoor spring activity in Owatonna here. Share how you are spending your Owatonna spring adventure by using #VISITOWATONNA!